WFUV, a noncommercial, member-supported public media service of Forum University, awarded us the redesign and enhancement of their Drupal-based web presence and multimedia platform. 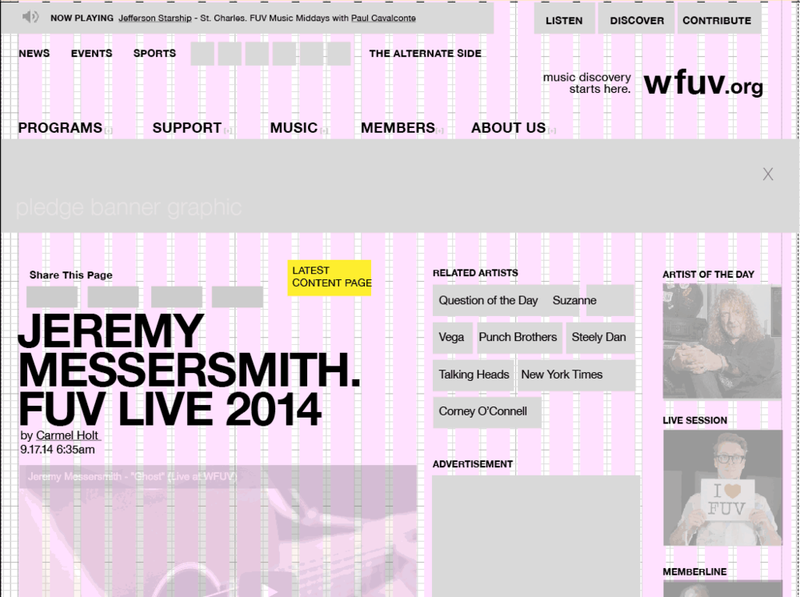 The massive website presence hosted a dozen DJs, and deep archive of NPR music and content. 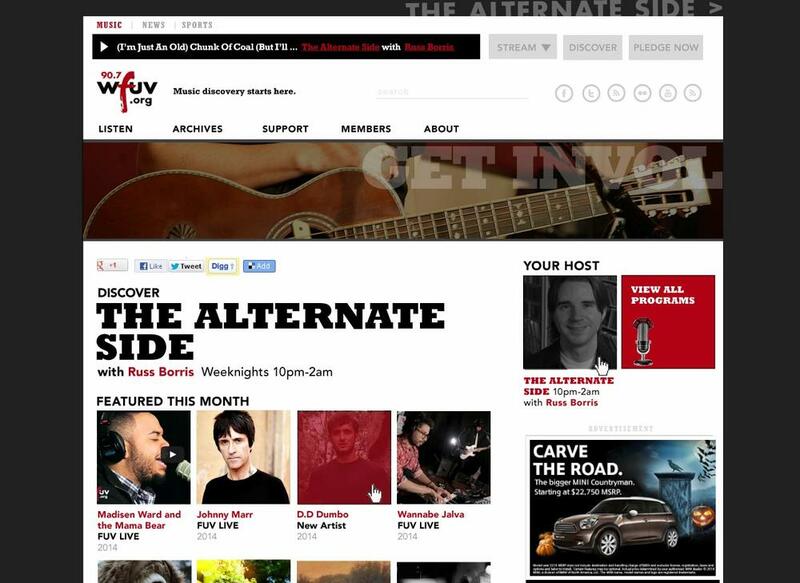 Connecting with decades of audio and interviews from the NPR Music Library,, WFUV had exciting possibilities to build content relationships and reinforce their mission of “Music Discovery”. We created “taxonomies” and content relationships between Artist, record label, city of origin (yes! ), as well as decade and genre and DJs associated with a particular Artist or decade. This user-focused approach to “geeking out” on new music made us happy. It also increase time-on-site and pages-per-visit to increase online ad revenue by 22%. Daily radio show audios were batch-imported nightly, via API feeds and Drupal import and migrate modules. After licensed-restricted audio was available for a specified number of days, Drupal’s workflow shuffled files to an archive, or removed it per licensing/trademark requirements. With massive numbers of users swarming the website for their morning music fix, Drupal’s already robust framework was optimized using apache, memcache and varnish modules, to manage server requests during concurrent audio streaming and traffic spikes. Starting from WFUV’s existing brand identity system, we pushed visual design boundaries to make it fresh with a little bit of grit; and brought the brand to life online through a music-discovery based user-experience. Services included discovery and analysis. User interviews, board member and stakeholder design workshops. Sitemapping, wireframe prototyping. Content and responsive web design systems, implementation, quality assurance and load/testing on the Drupal CMS.